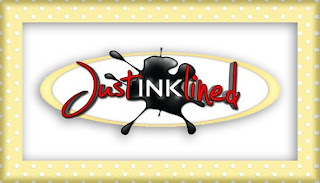 Time for this months Just Inklined Blog Hop woo hoo! had something very beautiful to show you! My card was made using the beautiful vintage image Charlotte. we have a couple of spot prizes to give away to someone who leaves us some love! If you'd like to know more about my card read on! & the sentiment panel was a Spellbindes Die (I trimmed off the ends). visit Tammy next! Don't forget your comments! Stunning card and beautiful background papers! Love the soft colors you used for this beauty! Beautiful card dawn, this is one of my favorite ink lined images I like the paper and the flowers. Wow Dawn, a fabulous creation! Love the rocker card and your color choices are gorgeous. What a beautiful lady, and hat is nice, roses are the best! Dawn, this is simply gorgeous!!! Love that image and your shaped card is so creative and pretty. What a lovely way to use that stamp. Gorgeous Dawn, love the colours you've used too. Beautiful, and I'm sure your Mother will love it! Hello Dawn, the vintage lady looks so elegant and the embellishments are fabulous. What a cool card I love the layout and design. Pretty card! Love the flowers with pearl centers! my breаkfas&X74; co&X6D;ing over again to read moгe neωs.